Wednesday, October 11 from 5:30 p.m. until 7:30 p.m.
Ushio and Noriko Shinohara’s parallel statements speak to the unremitting and beautiful nature of a life devoted to art. The pair possesses an unbridled creativity, both vital and unrelenting, yet distinct in its manifestations. Ronin Gallery presents the exhibition Wrestling the Demon: Noriko and Ushio Shinohara. Held in conjunction with Asian Contemporary Art Week, this exhibition explores decades of printmaking within these two storied careers. Wrestling the Demon includes paintings and drawings that inspired their prints, as well as works by their son and fellow artist Alex Shinohara. 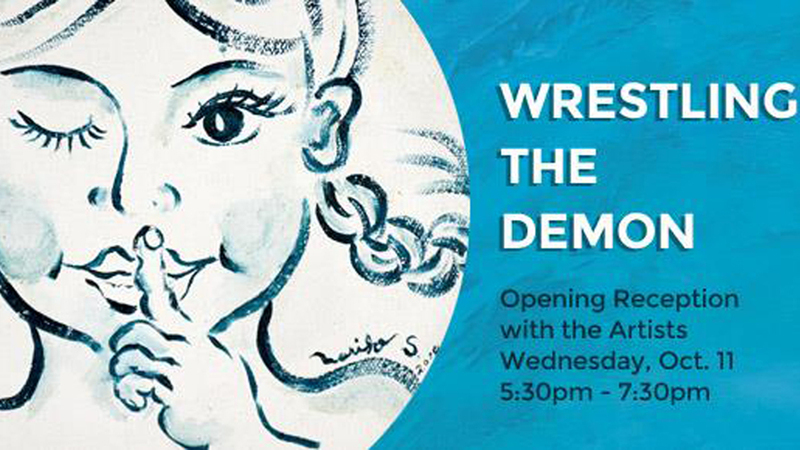 From Noriko’s famed Cutie series to Ushio’s notorious boxing paintings, this exhibition considers decades spent wrestling with the demon of art, and quite often, wrestling with themselves.